The ebook revolution is really beginning to remind me of the mass-market papeback revolution. The mass paperback was really “invented” by Sir Allan Lane when he created Penguin in Britain before World War II. (Wikipedia credits a German publisher with the first cheap paperbacks a few years earlier, but Lane was certainly the first in English and deserving of some extra credit because the company he started continues in the same business to the present day.) Pocket Books in the US was also born just before the war. During World War II, historian and polymath Philip Van Doren Stern (who wrote, among other things, the New Yorker short story on which the movie classic “It’s A Wonderful Life” was based) ran a program for the US military by which inexpensive paperbacks were made available to the troops. After the war ended, mass market publishing really grew. Many houses — Ballantine, Bantam, Signet, Avon — were launched immediately following the war. The key to mass-market publishing was that it achieved distribution through the network of wholesalers that put magazines on newsstands and in local stores (often drugstroes) nationwide. Unlike trade books, which required an agreement between publisher and bookseller to get a copy of any book on a retail shelf, mass markets were “allocated” by the publisher to the wholesaler and in turn pushed out by the wholesaler to the racks they controlled. The advantage of this distribution technique was that it enabled lots of copies to be pushed out to lots of places with much lower sales and distribution costs. The disadvantage was that it really only worked if books were treated like magazines, with “on sale dates” when they went out and “off sale dates” when they were pulled back and, like magazines, had their guts pulped while only the covers were returned for credit. The paperbacks were typically priced at 25 cents when hardcover books were $2 or $3. (Compare that 8-to-1 or 12-to-1 pricing ratio to what exists today. It doesn’t.) And mass-markets were available in tens of thousands of locations nationwide, perhaps more than a hundred thousand, when bookstores were few, department stores tended to have only one location, and trade books were typically available in hundreds of locations, or at most a couple of thousand. If this is ringing some bells for an observer of the ebook transition who didn’t know paperback history, it is entirely intended to. Let’s ring a few more. The name recognition of successful books, along with the ability to put words which said “established bestseller” on the cover, could be converted into huge sales given the much lower prices and much wider distribution mass-market could achieve. Over time this led to rapidly rising paperback license payments from paperback publishers to hardcover publishers. These were, by traditional contract, shared 50-50 with the authors. They provided a substantial, if temporary, bonanza for the trade houses in the 1950s, 1960s, and 1970s. But the new marketplace also led to the growth of genre authors whose audiences were established for low-priced paperbacks. It was often difficult for those authors to move “up” to more expensive hardcover publication. Their audiences didn’t want to pay the higher prices, but they also didn’t necessarily shop in the bookstores and book departments where those books were found; they were used to buying their books at newsstands and in drugstores. When I was first coming into New York from the suburbs as a kid in the late 1950s and early 1960s, there was a fabulous selection of paperbacks at a drug store that occupied the corner location in the Grand Central building at 42nd Street and Vanderbilt Avenue. I found a series of baseball biographies there published by Sport Magazine. I remember a book about 1001 things you could get for free by writing away for them. And, of course, the public domain classics were all there. And I got some great trash like “I Sell Love” and a book about airline stewardesses whose title now escapes me but which was great naughty reading for an early teenager. Then in the summer of 1962, when I was 15, I worked a 2-month stint at the very classy Brentano’s Bookstore on 5th Avenue and 47th Street. My assignment was downstairs in the brand new, just-opened, paperback department. The center of the basement contained the “trade” paperbacks, mostly academic, on shelves. Around the outside were the mass-markets in racks. The mass-markets were on racks arranged by publisher, because the publishers’ reps serviced them on a weekly basis. Scribners Bookstore, across the street, didn’t deign to stock paperbacks for some years thereafter. 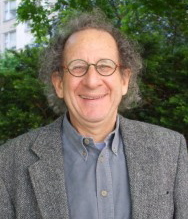 My dad, Leonard Shatzkin, told a story about the legendary Jason Epstein’s Anchor line of paperbacks at Doubleday (perhaps the first line of quality, or trade, paperbacks, but almost certainly the first such line to come from a mainstream trade house). Dad’s responsibilities as Director of Research extended to the sales force and he ran the sales conferences. At one such conference when Anchor Books (and Jason) were very young, Dad told me that Sid Gross, the head of merchandise for the company’s Doubleday Book Stores, tore into the whole concept of the cheap paperback. He hated them. From his perspective, it was bad for a book retailer to be selling 25 cent items instead of $3 items! Many other booksellers back then felt the same way. My father’s reaction, pretty typical for him, was to support the contrarian and revolutionary view. He pushed the reps to make Anchor Books a success and, a few years later when Epstein had moved on to Random House, Dad created the Dolphin Books line of quality paperbacks to complement Anchor, whose title selection was pretty highbrow, with public domain and more popular current titles. That anti-paperback snobbery was widespread and the separation between trade and mass-market publishing persisted for a long time. For at least a couple of decades, paperback houses didn’t do hardcovers and didn’t try to put their titles directly into bookstores (as bookstores started to carry mass-markets, at first they bought them from the wholesalers who racked them) and the trade publishers didn’t try to access the mass-market distribution system. This changed in the 1970s. First Peter Mayer and Bill Shinker pioneered the use of mass-market techniques for oversized trade paperbacks published by a mass-market house (Avon). Then a few years later, Bantam starting publishing hardcovers with distribution to mass accounts. In the end, mass-market distribution was dismantled by a number of forces. The best retail accounts started buying direct from publishers rather than through the local wholesalers. The number of titles grew so that the “allocation” methods wouldn’t work anymore; there were too many publishers and too many titles for a diminishing number of pockets to handle, so the more expensive negotation method became required. Patterns are being replicated now with inexpensive and widely-available ebooks. New authors are being spawned. Genre fiction works best. Books that were previously successful in more expensive formats can find new audiences as their prices come down and they go where new customers are shopping. And traditional publishers are sure that their “quality” protects them from low-brow competition, even while that competition is taking millions of customer dollars and countless hours of customer mindshare off the table. But here’s how that old story ended. Mostly, the mass-market publishers won. Penguin bought Viking. Bantam bought Doubleday and then Random House. Simon & Schuster survived largely because they merged very early with Pocket Books. What is now Hachette is largely called Little, Brown, which was a hardcover house, but it really developed over the last two decades of the 20th century as Warner Books, a mass-market house. Really, only HarperCollins and Macmillan of the current Big Six are true descendents of the trade publishers that were dominant when mass-market publishing arose. 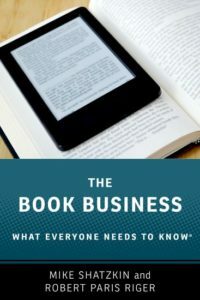 There are a slew of differences between the transitions; ebook publishing has a title glut to deal with just like mass-market did, but the challenges are not the same when you don’t have printed books to manufacture and ship around and your distribution isn’t limited by shelf space or pockets to display them. And authors couldn’t do it themselves in the mass-market era the way they can today. But there is a very basic lesson I think publishers better take on board from this history. I posted more than six months ago that I had read my first self-published ebook, a history of the 1962 New York Mets called “A Year in Mudville”. Then I had an exchange in the comments string of my last post with Joe Konrath, who used to be published by NY publishers but is now finding it much more lucrative to do it himself, and a reader named Chris. They urged me to read a self-published ebook bestseller, “Wish List” by John Locke. It was fabulous, sort of a cross between contemporary bestselling author Carl Hiaasen and a relic of the early mass-market days, Jim Thompson: bold, caustic, and funny with characters you like who suddenly do outrageously anti-social things. Locke has apparently come out of nowhere with just his talent to help him and is selling shedloads of ebooks. (He’ll certainly sell another one or two to me!) I am not price-sensitive about my reading and I haven’t ever shopped the 99 cent pile, but Locke is certainly evidence that there is stuff in there that is the equal of anything the big publishers are doing at major multiples of that price point. It will be an interesting challenge to see if any major publisher can deliver enough added value to make a deal with Locke or Amanda Hocking, another writer who has found a huge market without any help from the establishment.